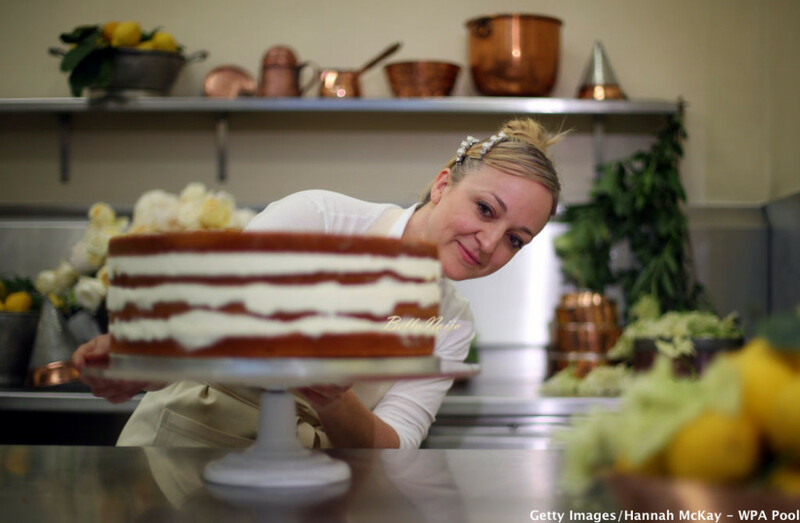 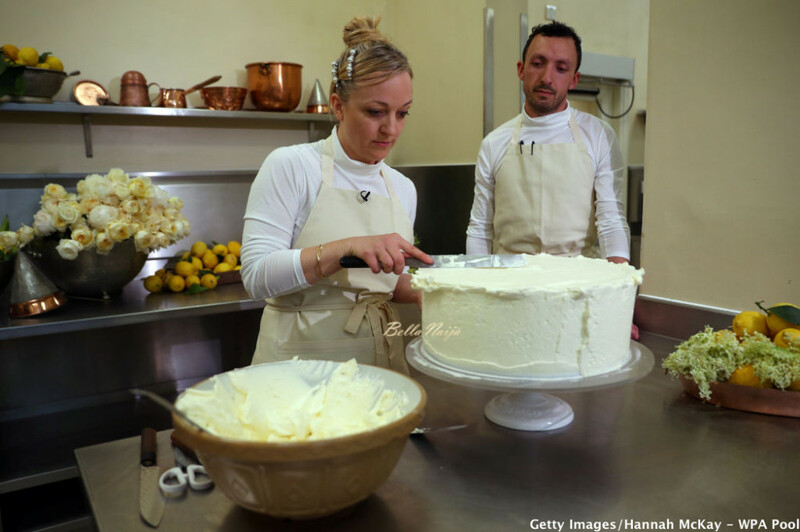 As the hours for the anticipated Royal Wedding draw closer, photos have been released of Claire Ptak, owner of Violet Bakery in Hackney, East London putting finishing touches on the cake. 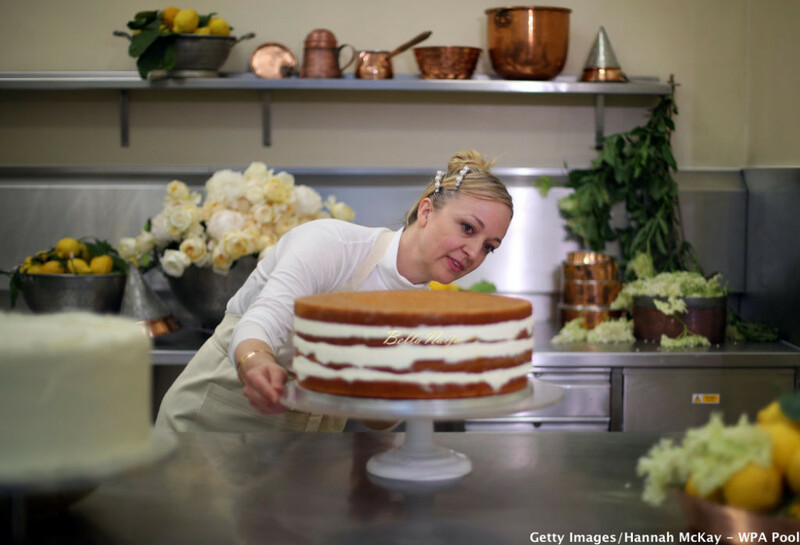 The photos show her decorating the cake for the Royal Wedding of Prince Harry and Meghan Markle in the kitchens at Buckingham Palace on May 17, 2018 in London England. 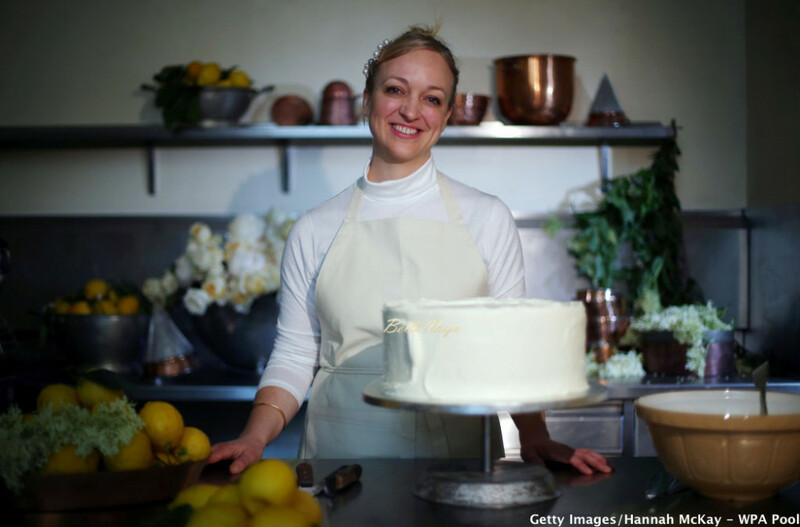 According to her, the cake is a three-part layered lemon and elderflower cake and it will be presented in a non-traditional way with fresh flowers and buttercream frosting. 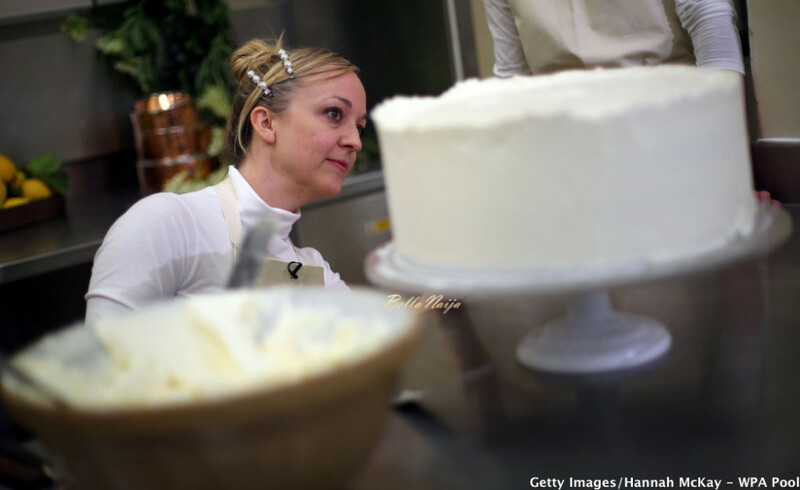 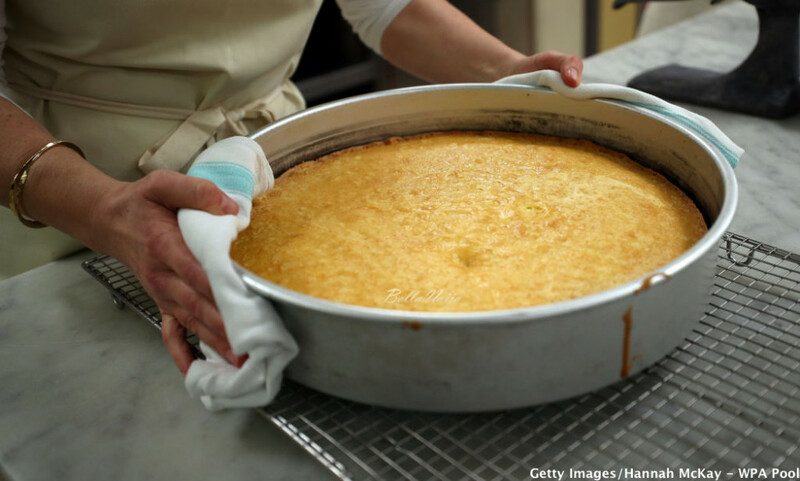 The cake itself is a break from the traditional fruitcake typically served at British weddings. 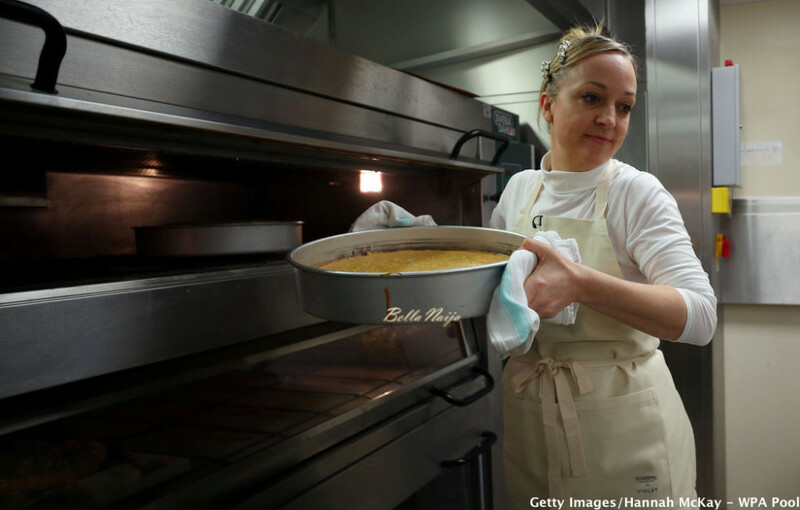 The baker has been working with her team of six bakers for the past five days in the oversized kitchens of Buckingham Palace. 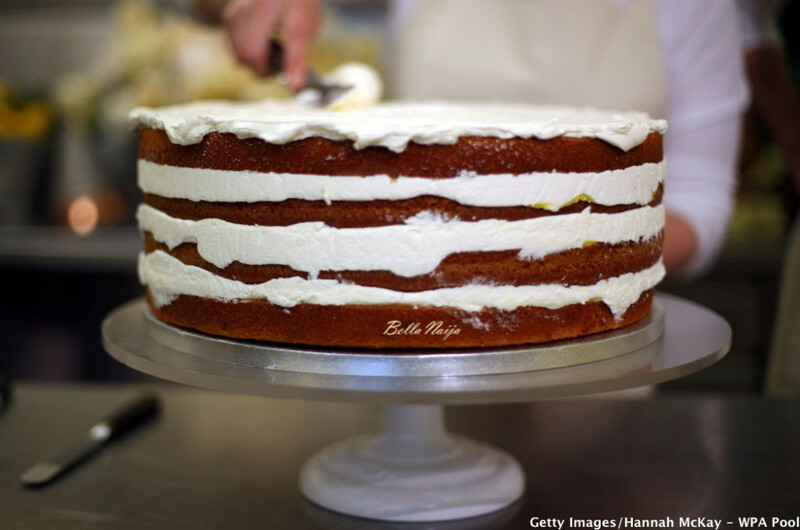 See your first look at the cake below.